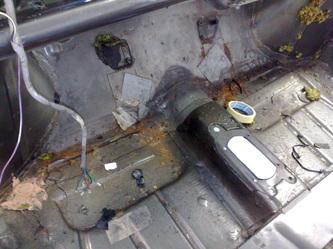 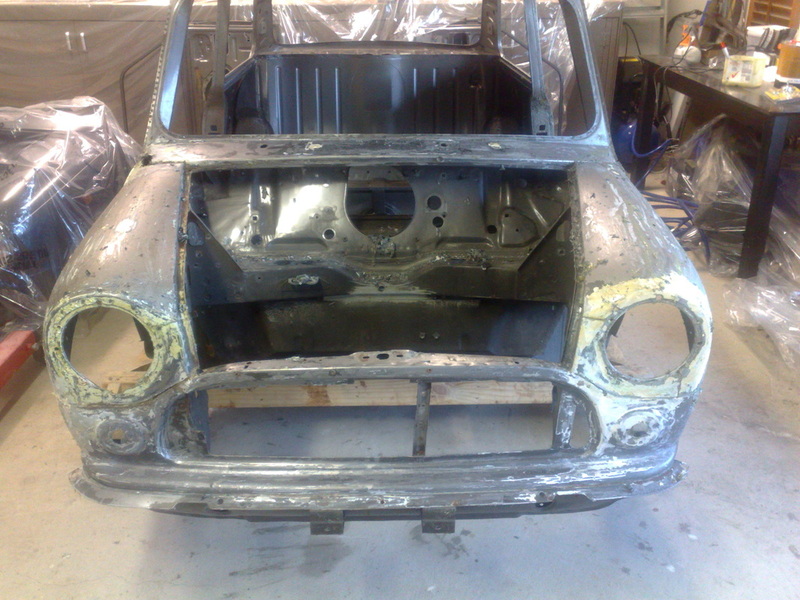 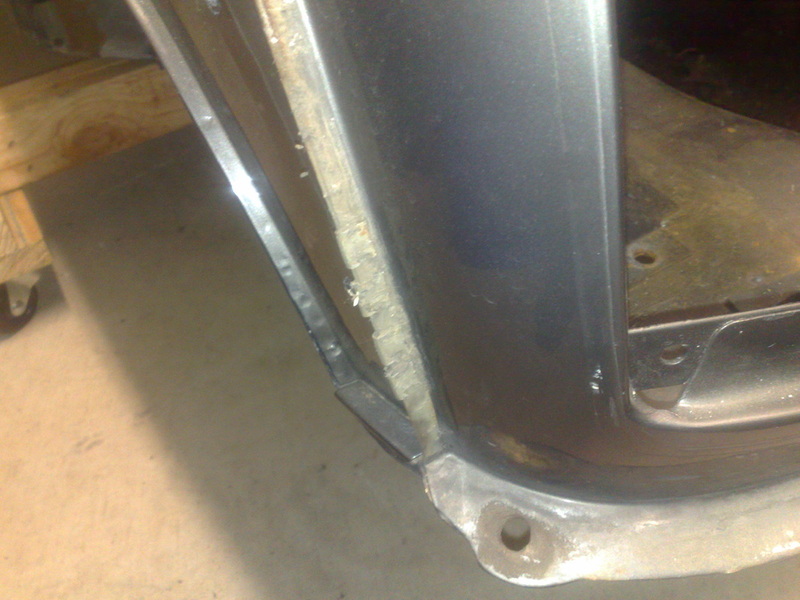 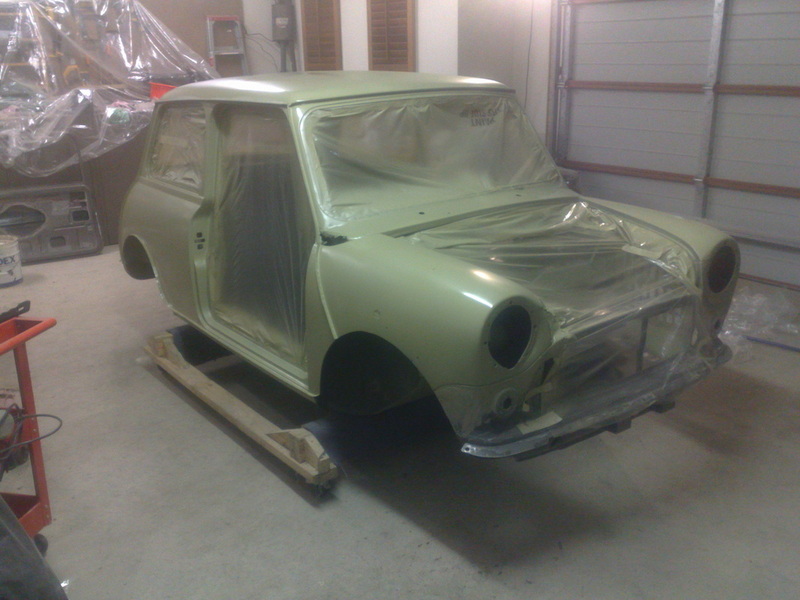 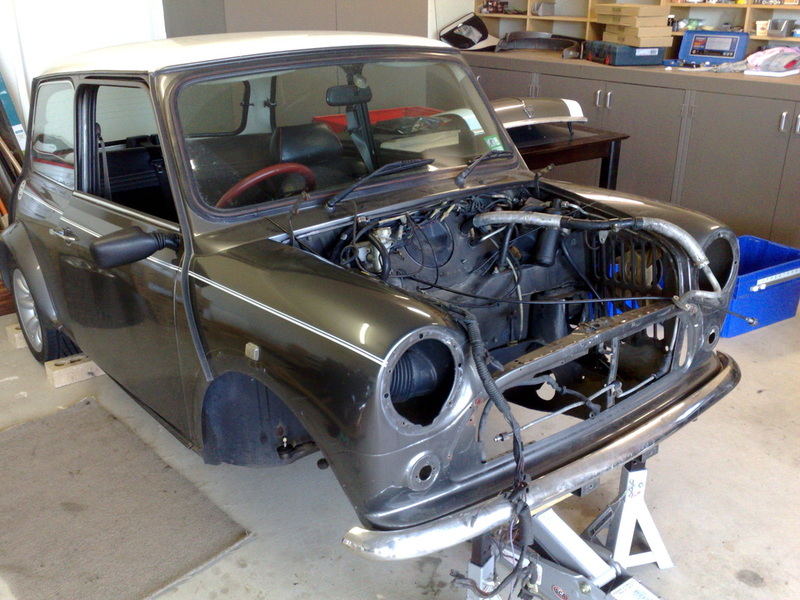 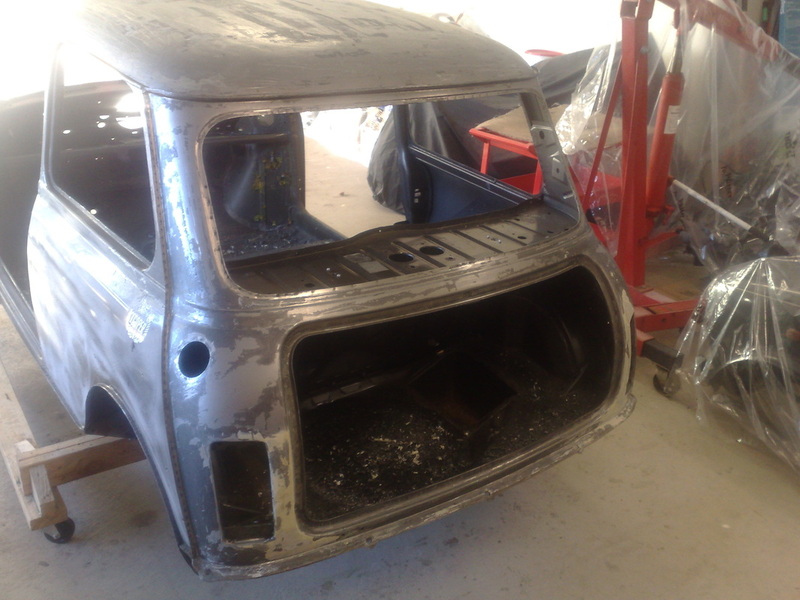 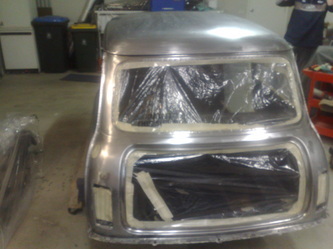 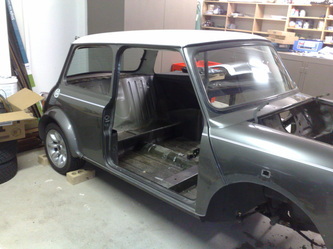 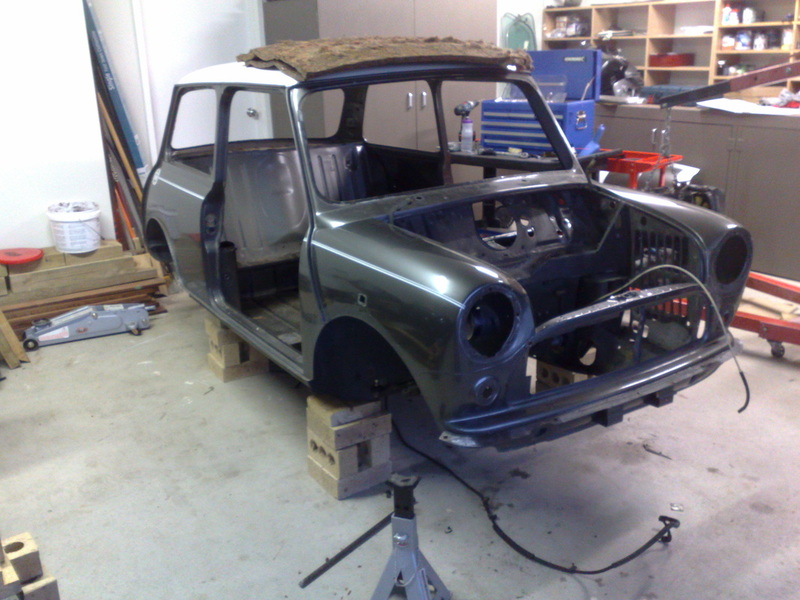 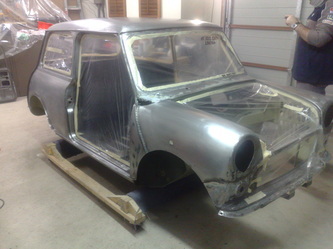 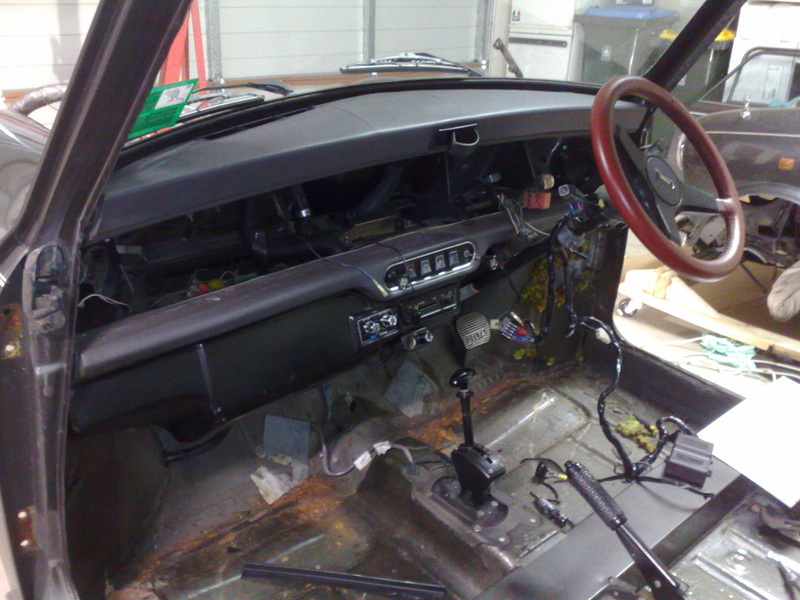 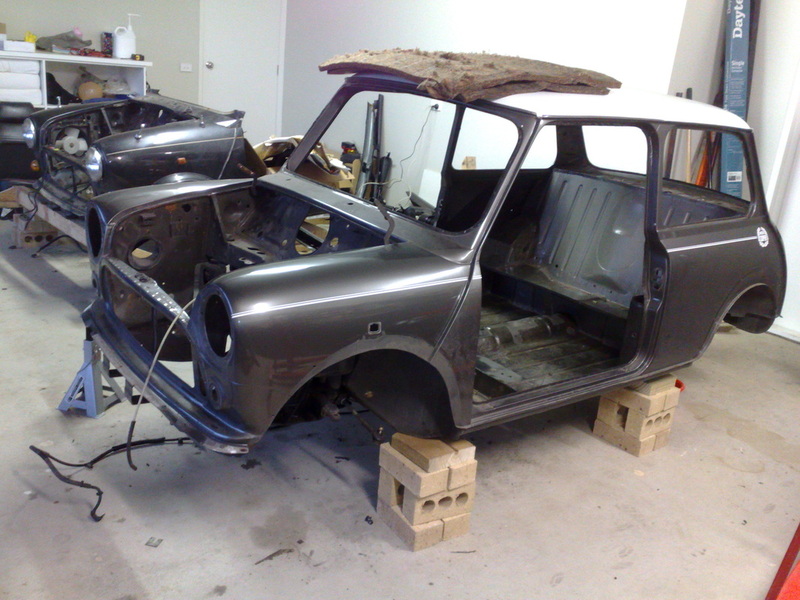 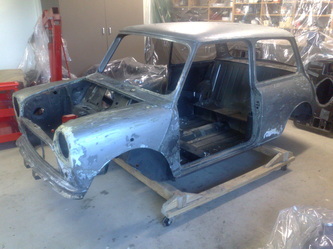 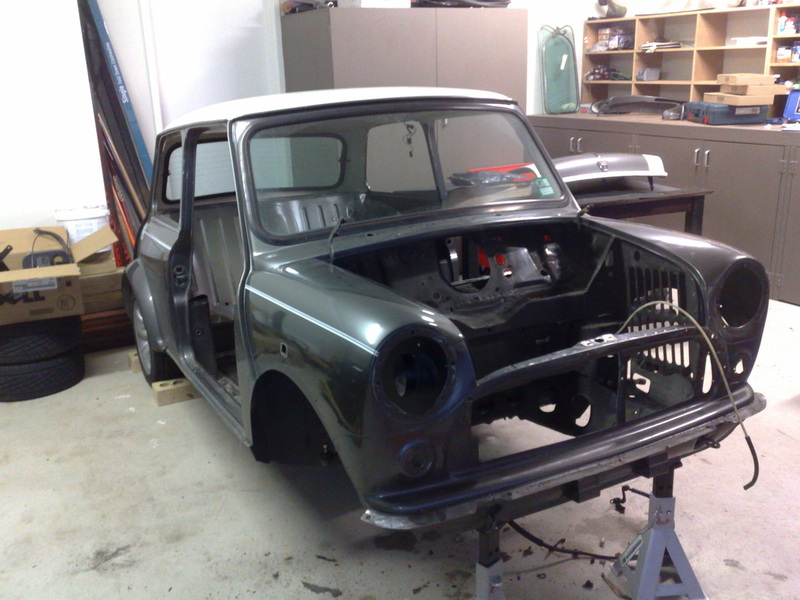 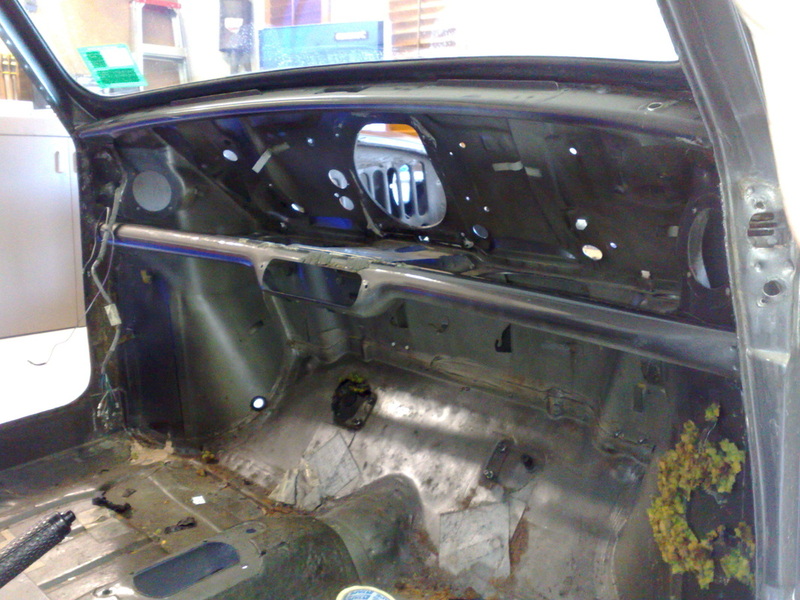 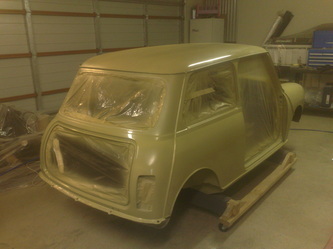 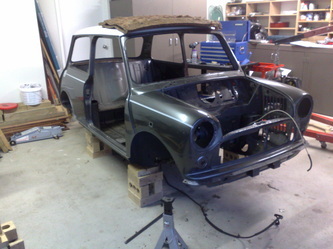 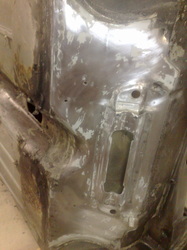 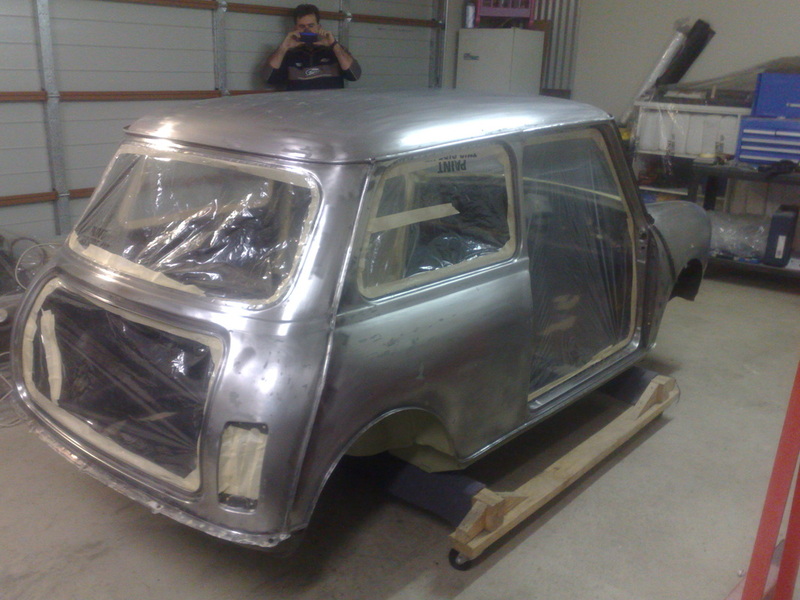 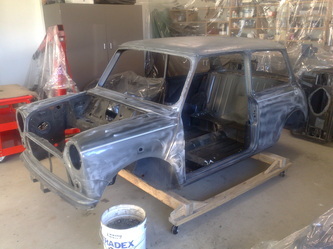 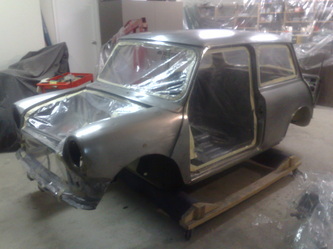 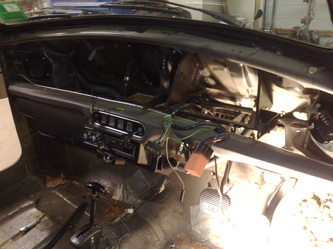 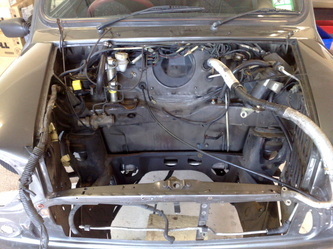 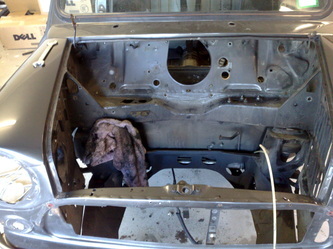 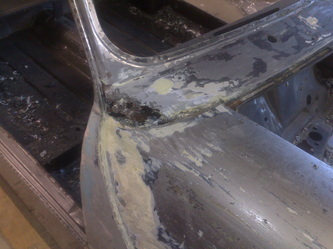 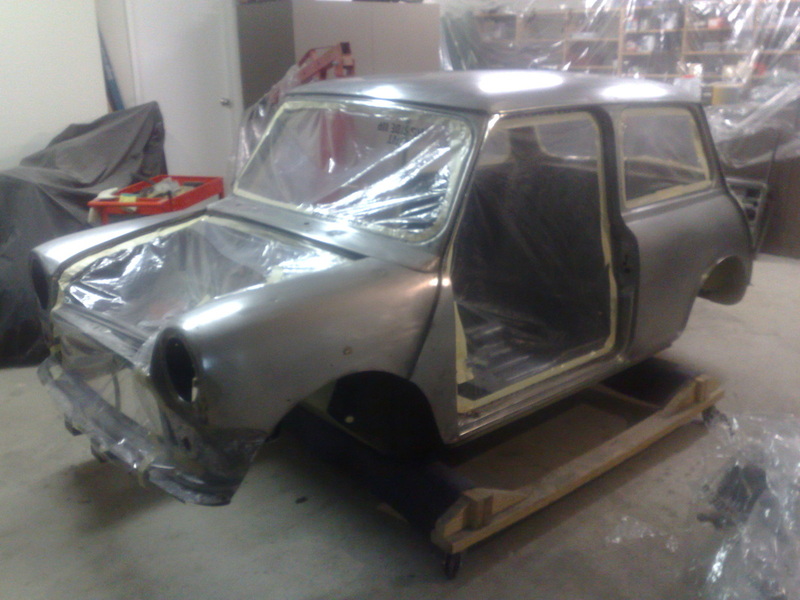 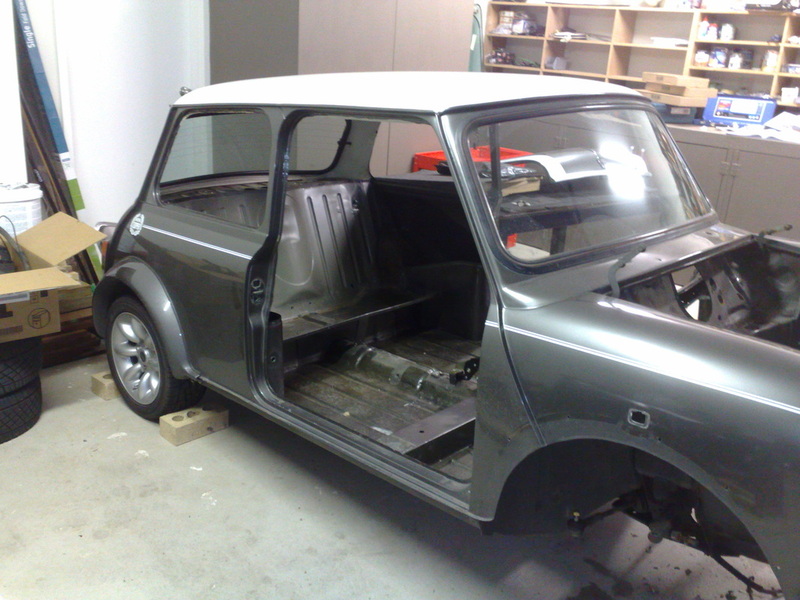 The stripping of my Mini started on 8th June 2010. 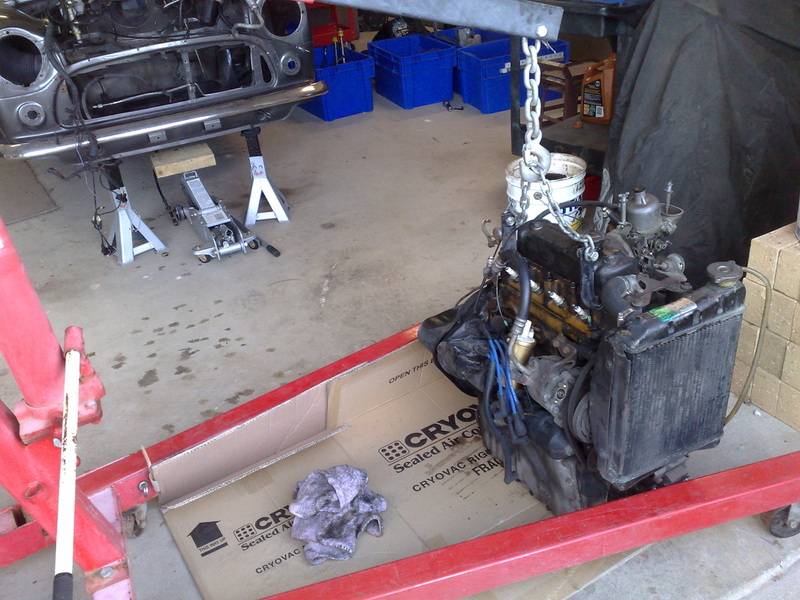 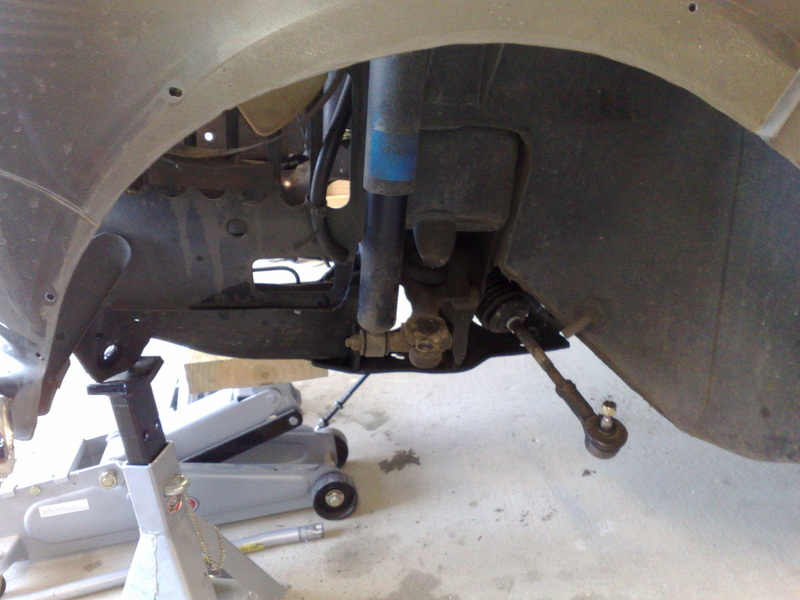 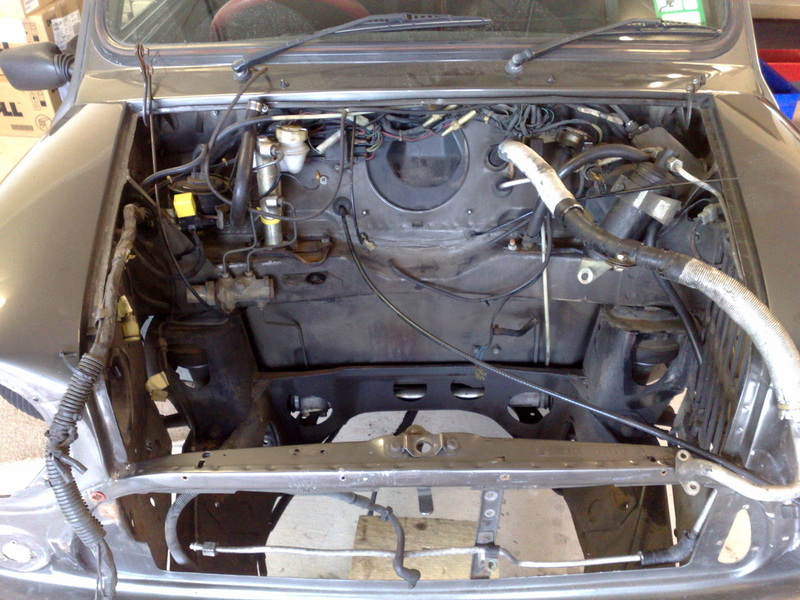 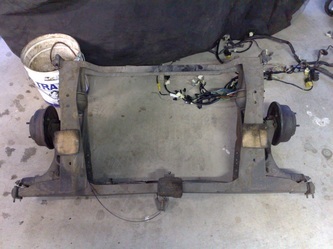 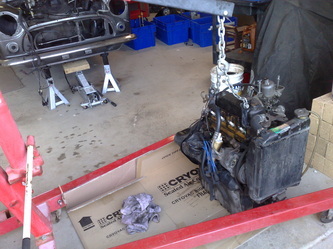 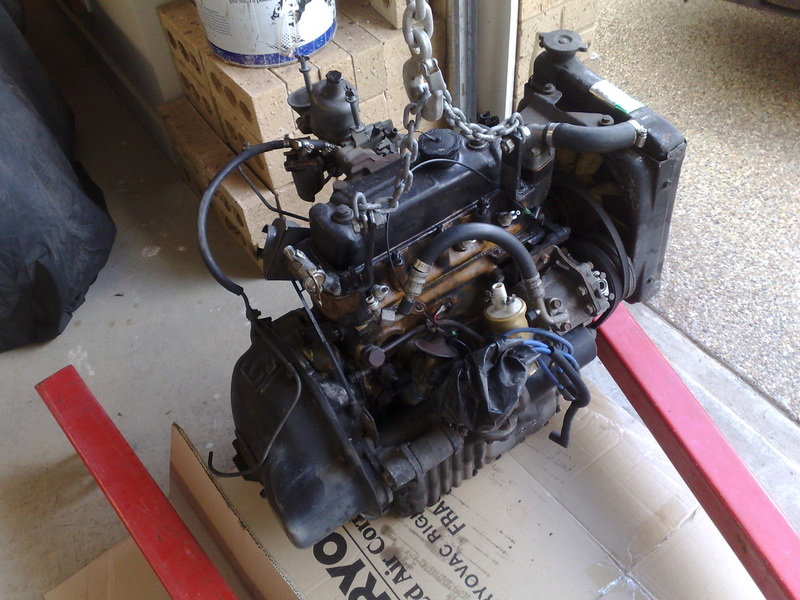 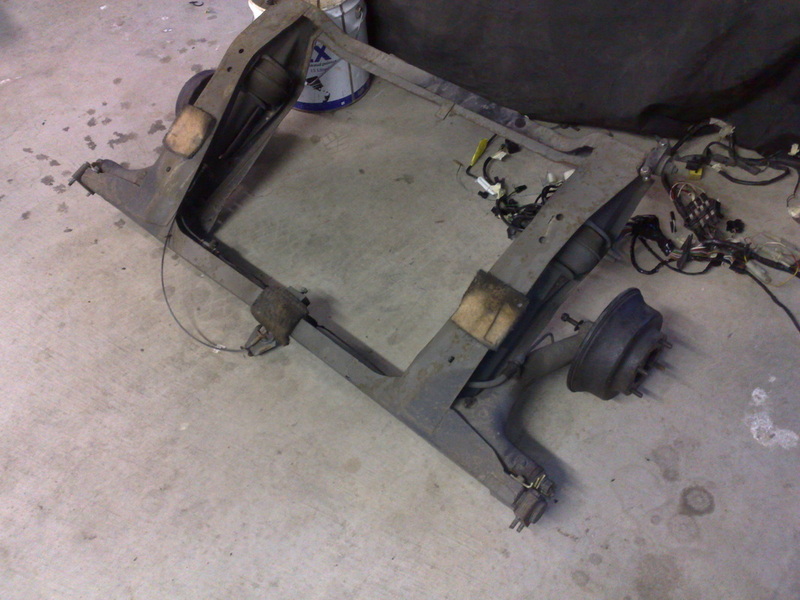 Below you will see I started by removing the front wheels, hubs, brakes & drive shafts so i could get the engine out. Happy to see the 998 Auto removed and look forward to giving it new life with the 1275. After the engine I moved onto the interior & doors. 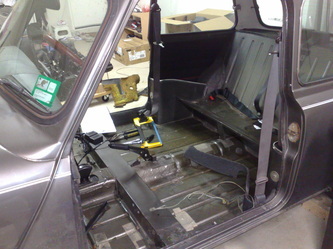 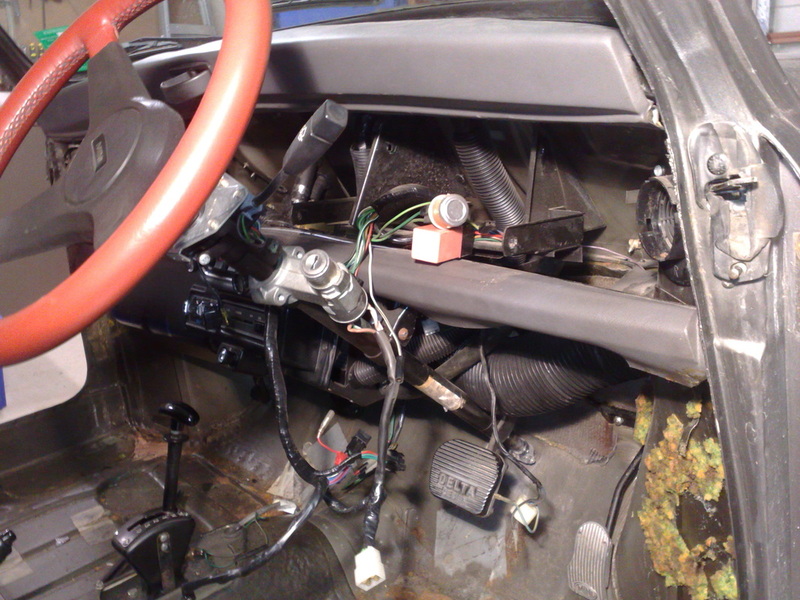 I took out the bulk items like seats and carpet to get to the exciting stuff like wiring. I didn't need to mark any of the wiring on this harness as I was using the harness out of the half cut which came complete. when you look at the last photo below you will see there is no turning back now. 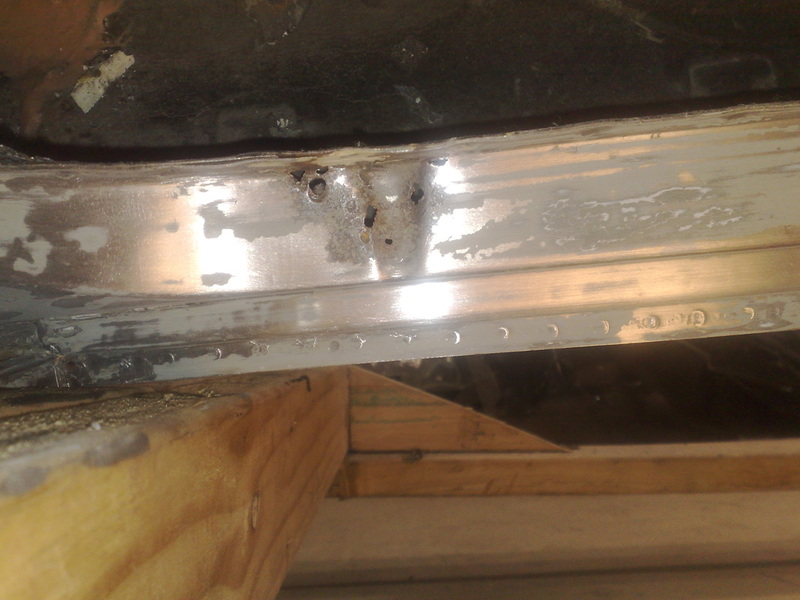 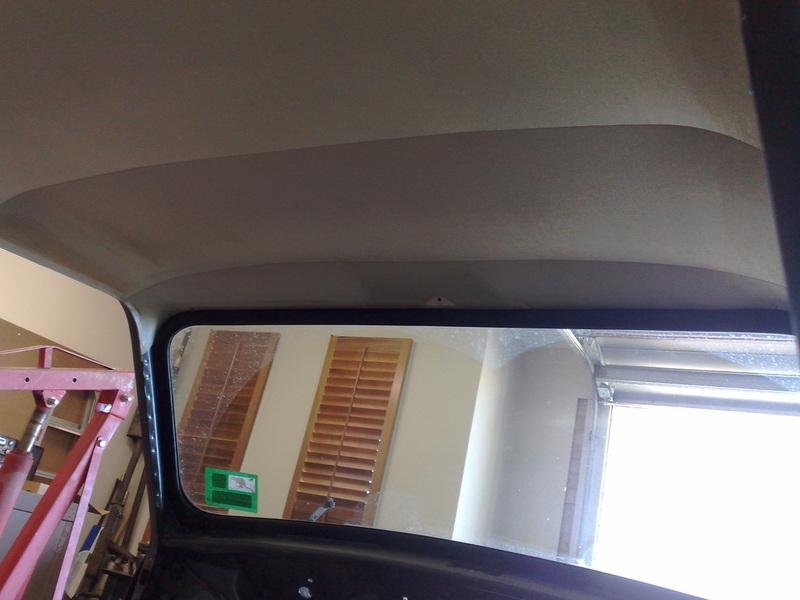 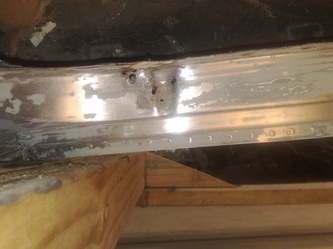 As you can see below, the roof liner was pretty stained. 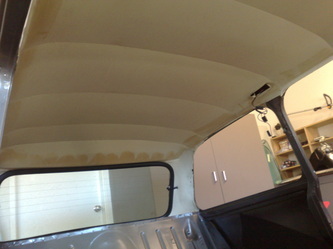 that will be replaced with black cloth to match the new seats. 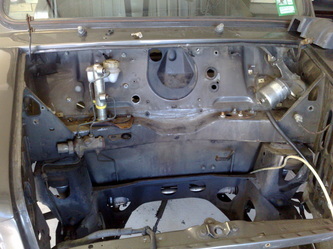 Next to come out was the rear sub frame. I removed it from the car as a complete unit. 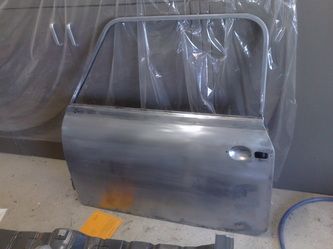 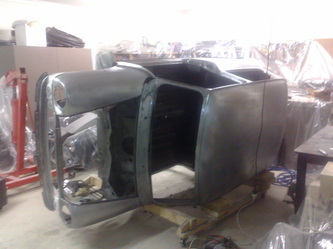 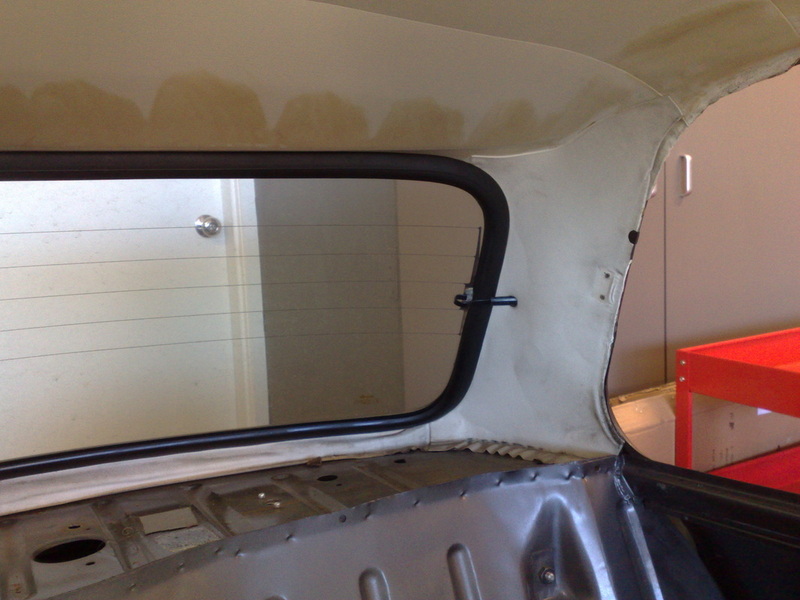 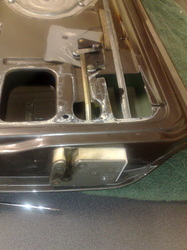 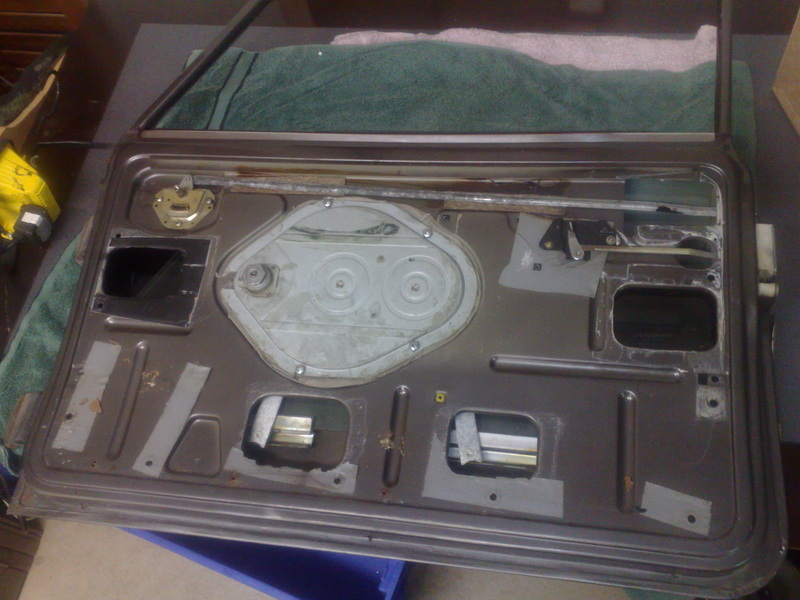 also removed the door trims and took a few photos before stripping them down so I can strip the paint off. 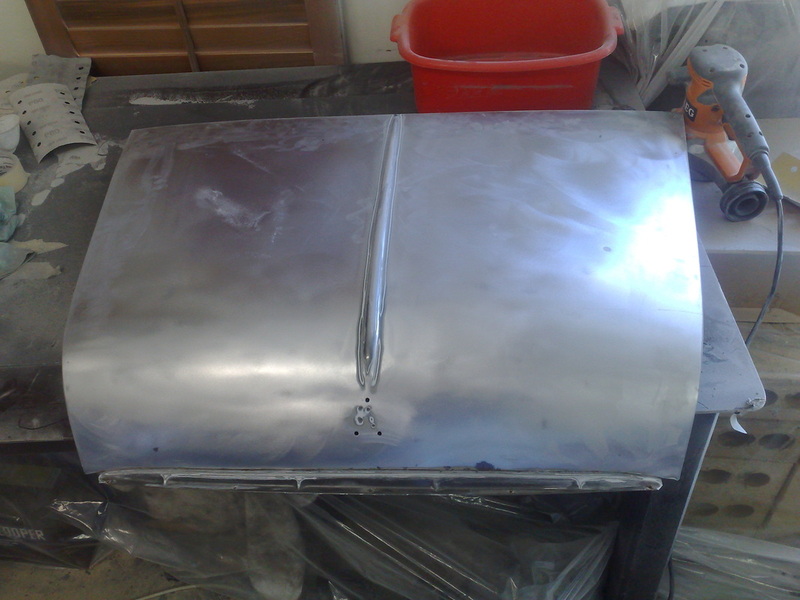 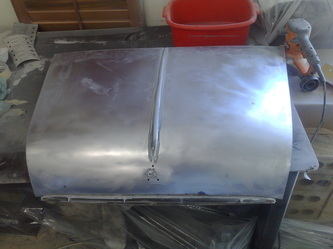 Exactly a month later on the 8th July I removed the seam covers and began to sand the paint back with 80 grit sandpaper so i could apply the paint stripper to bring it back to bare metal. Found some rust as you would expect in a Mini. 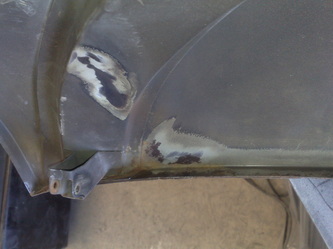 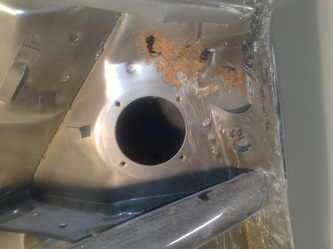 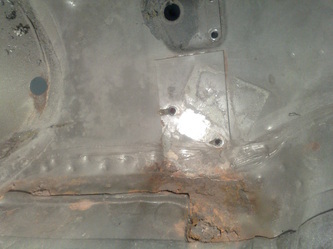 Most of the rust was where I was expecting it to be as I could see it coming through the paint or inside the engine bay. 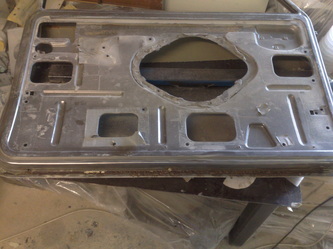 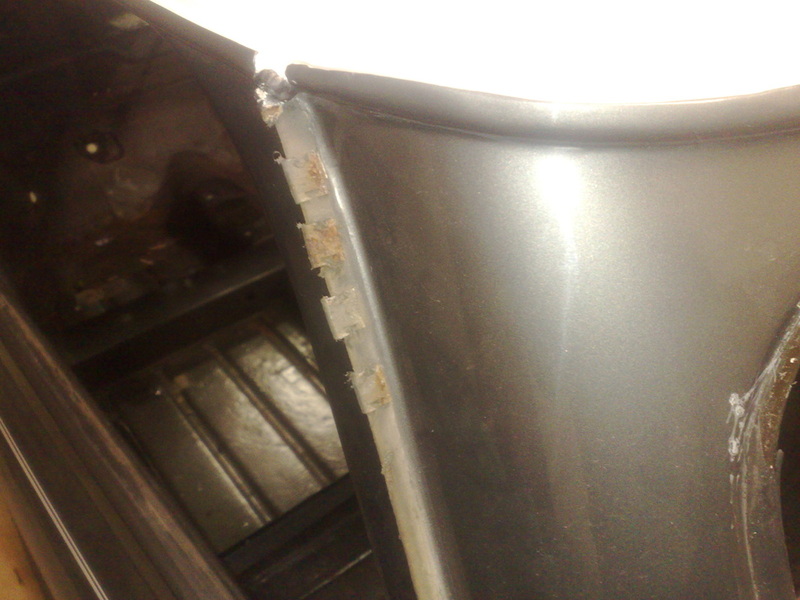 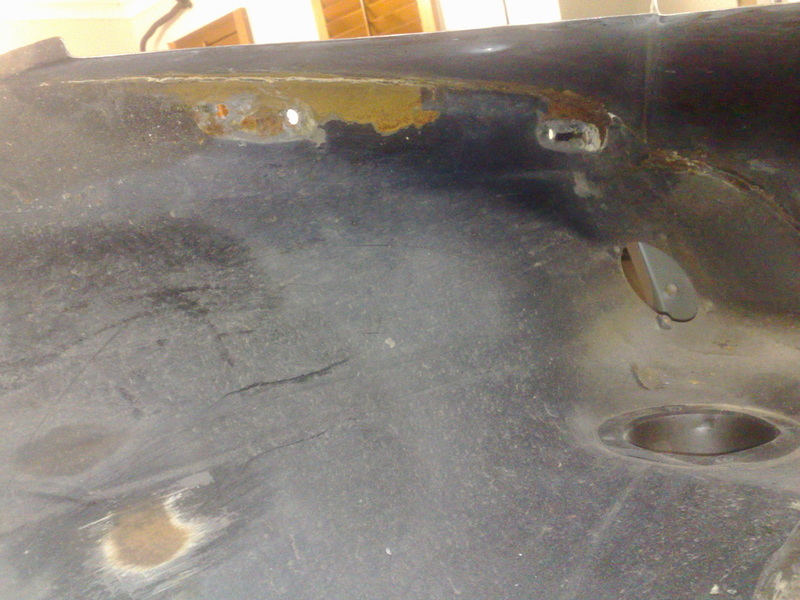 the areas included: RH scuttle panel corner, RH inner guard, RH guard where it joins the scuttle panel, the battery box, spare wheel well, LH door sill, front panel, rear lower valance, rear boot floor where the valance joins & the two front floor pans. 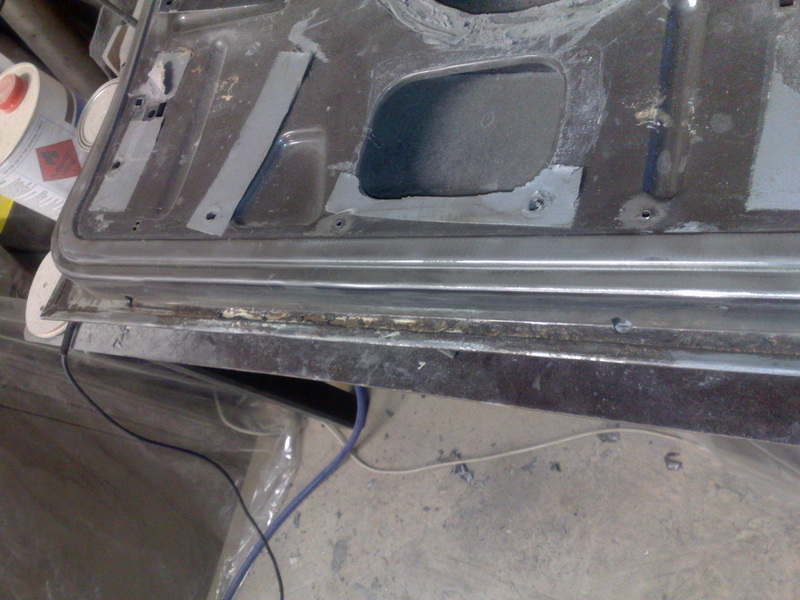 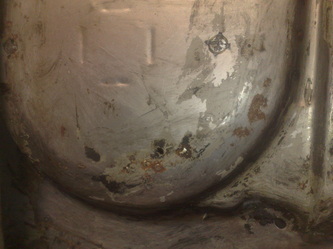 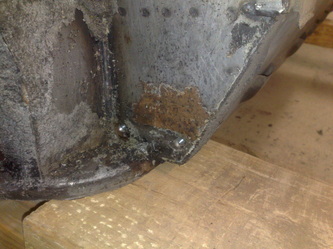 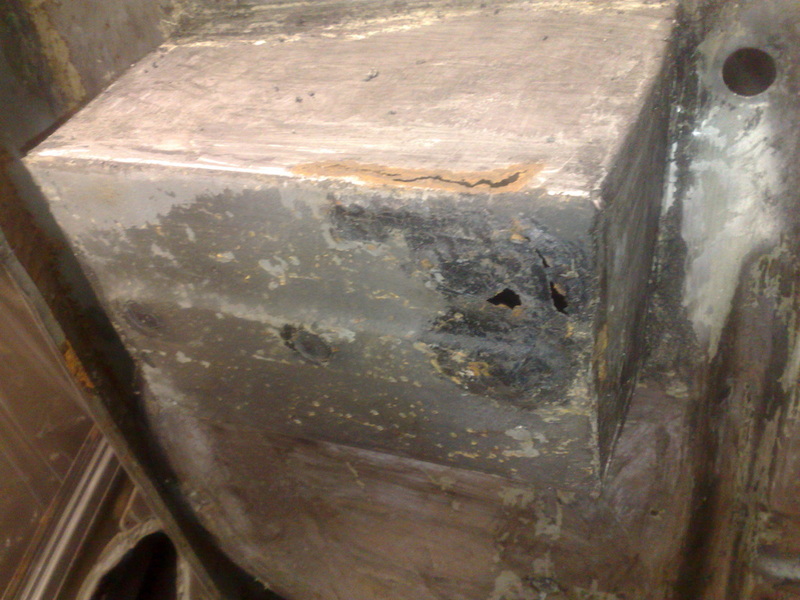 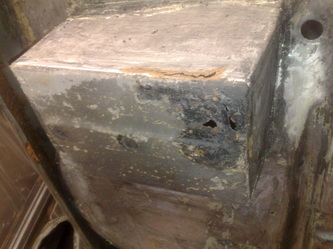 There was also some surface rust around which could be cleaned with a wire wheel on my 100mm grinder. the wire wheel was the best thing ever as I have used it on everything. 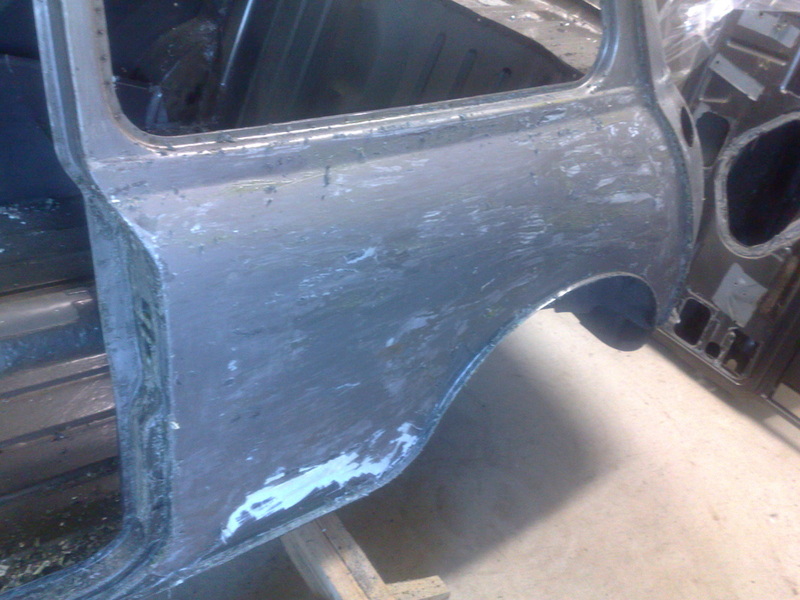 A week later on the 16th July After paint stripping the body I then sanded it again with 80 grit to remove all the extra bits of paint that did not come off with the scraper. 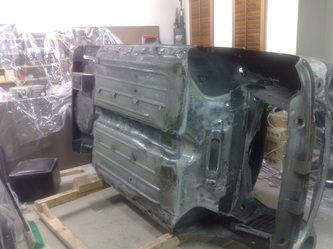 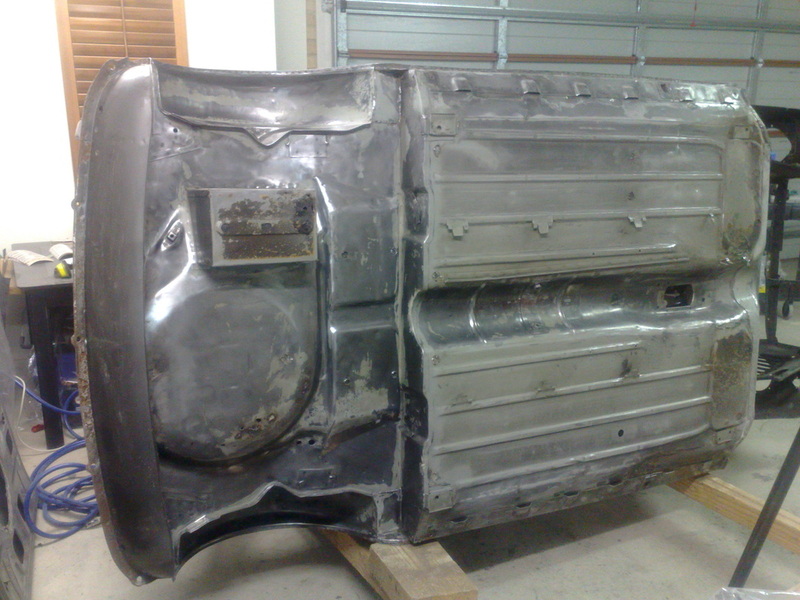 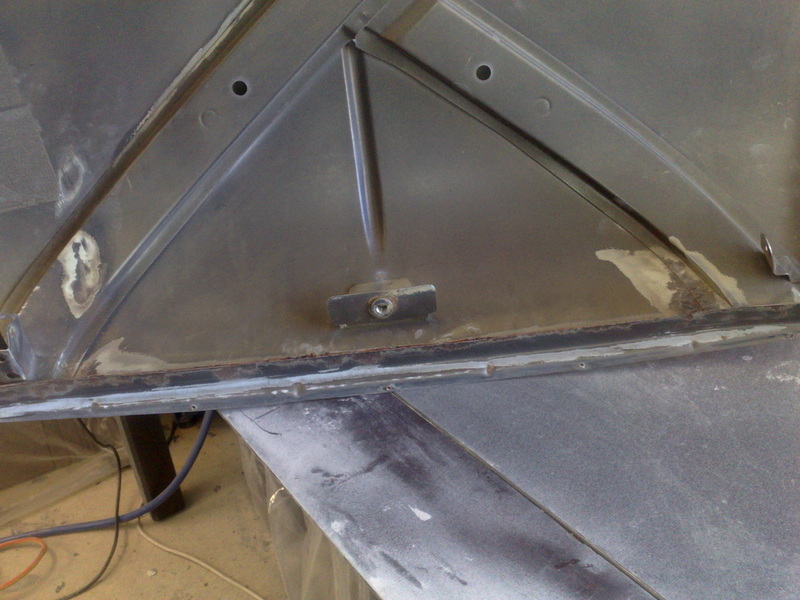 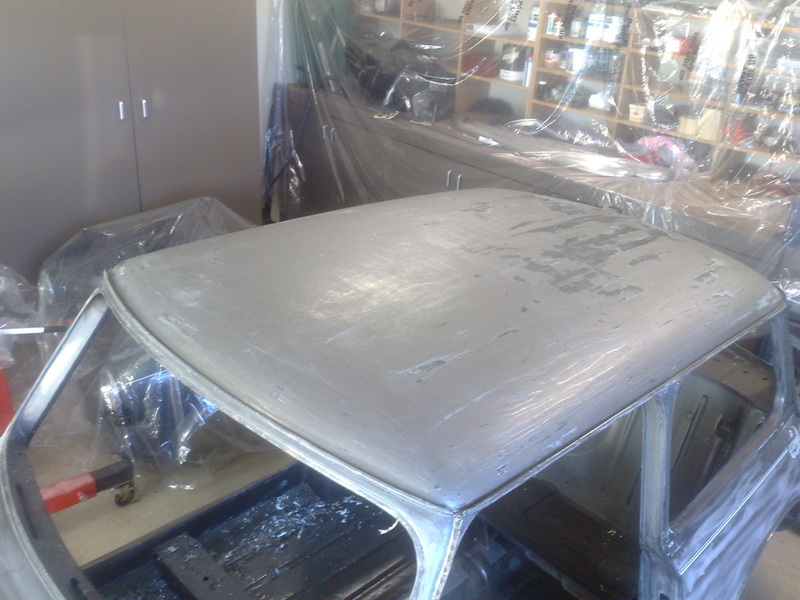 once it was stripped I gave it a coat of epoxy primer to seal it from rust while I worked on the body. 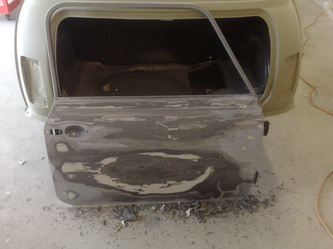 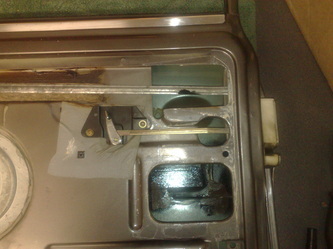 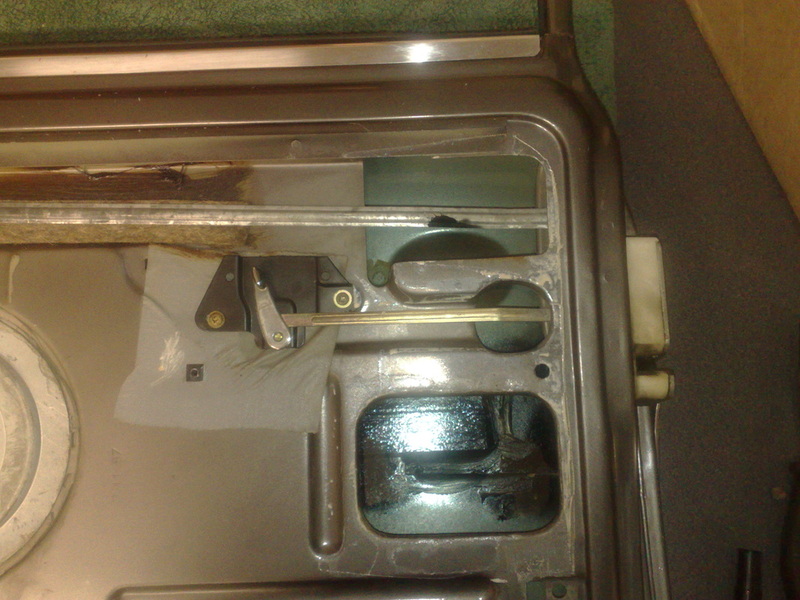 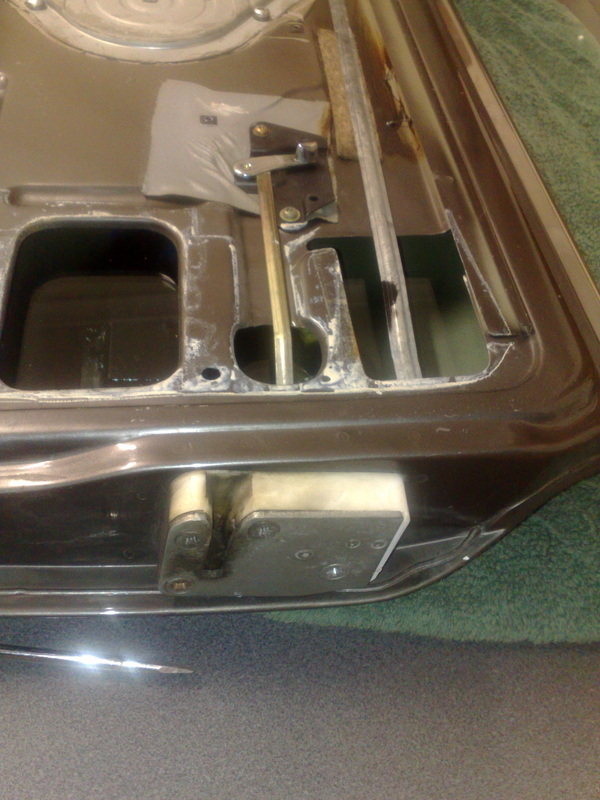 I then stripped the doors, boot & bonnet to which I found the bottom of the doors rusted out under the bog & paint. The front bonnet strip needs replacing too as it has rust under it.